These were the lines uttered by Atal Behari Vajpayee while condoling the death of the first Prime Minister of the country, Jawaharlal Nehru. But, these lines equally go with Vajpayee when we mourn his death. Politicians come and go, even Prime Ministers ascend to the throne and descend as a matter of history; however, a statesman is born once in a while. Vajpayee’s insaniyaat (humaneness), his large-heartedness and all-embracing nature had made him a mass leader, a statesman. Even his opponents could not shy away from praising him. He was a politician above politics. His amiable disposition and democratic credentials had enabled him to endear himself to everybody above party lines. 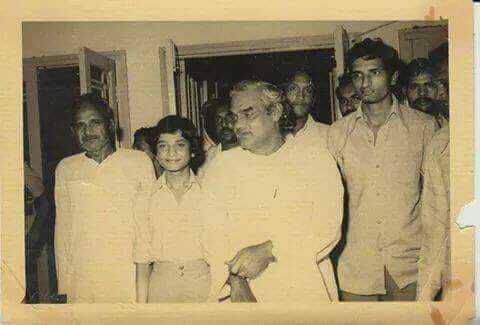 As his former personal secretary Shakti Sinha claims, Vajpayee was loved by even those who did not vote for him. While many would remember his tenure as Prime Minister for his visionary policies and programmes like Pradhan Mantri Gram Sadak Yojana (PMGSY), Golden Quadrilateral, Sarva Siksha Abhiyan Mission, Pokharan Nuclear Test II etc, his humanism stands out. Although he emphasized on nuclear tests, his conscience was clear regarding the use of nuclear weapon. He added the clause of no-first-use policy not only to save India from being called an aggressive nation by international community, but also out of his own conviction on humanism. In his speech in Parliament after the Pokharan II, Vajpayee said emphatically that while India would never use her nuclear weapon against any country willingly, but it was a necessity for self-defence. This shows the pragmatic side of a humanitarian leader. At a time when BJP has become synonymous with ruthless, single-minded acquisition of power and its deployment in disregard of all others, Vajpayee displayed the values of pure democrat. He would hold equal respect for his opponents. Because of this generosity and broad-heartedness, he was respected by others too. Even Nehru, who was often criticized by Vajpayee, praised him on occasions. Moved by his oratory, Nehru once told young Atal that he would become the Prime Minister one day. Regardless of differences on politico-ideological matters, Vajpayee held Nehru in high regard. One incident exemplifies his generosity. 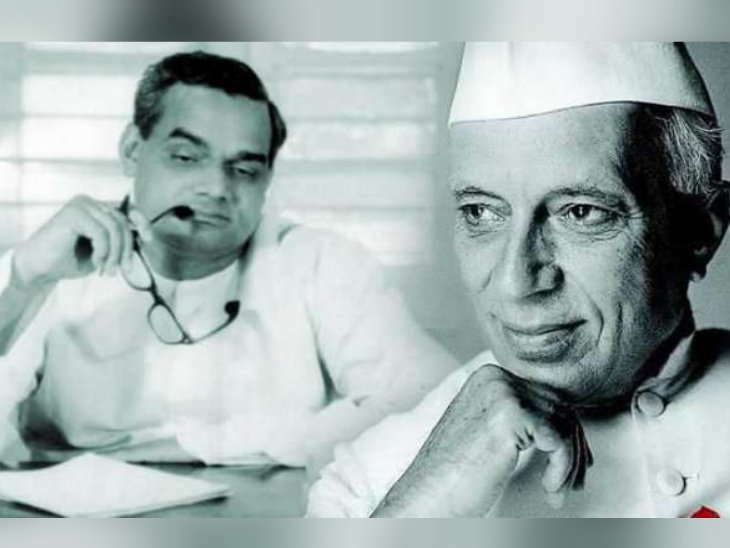 When Vajpayee took over as the External Affairs Minister in Morarji Desai’s Cabinet in 1977, he noticed that a portrait of Nehru which was earlier hanging from the Ministerial chamber of External Affairs Ministry, was missing from the spot. Perhaps it was removed by some functionaries to please Vajpayee. However, it did not go down well with Vajpayee. He instantly demanded its return. Though a lifelong critic of Congress, he never allowed to diminish the legacy of his predecessors. In his elegy, he said,” the sun has set, yet by the shadow of the stars we must find our way.” That was the essence of Vajpayee-a critic but not a cynic. While the present BJP has virtually become synonymous with bigotry, communalism and narrow mindedness, Vajpayee always embraced diversity and differences in opinion. When Godhra riot happened during Modi rule in Gujarat, Vajpayee reminded him of Rajdharma (the duty to give equal protection to every section of society without discriminating on the basis of religion, race, caste or creed). He always worked for bringing minorities to the mainstream. Even his idea of RSS is fraught with liberal thoughts. Vajpayee’s foreign policy was also imbued with such humanism and statesmanship. He persistently tried to improve relationship with Pakistan but failed. His historic bus journey to Pakistan in February 1999, just before Kargil, was a genuine effort to make a breakthrough. However, this was foiled by the Kargil incident. Undeterred by the obstructive forces, Vajpayee again called the then military ruler of Pakistan for a dialogue in Agra in 2001. It was in the same vein, Vajpayee attempted to settle the question of Kashmir. When it was pointed out that they would not discuss a settlement under the framework of Indian constitution, he famously suggested that the talks would be initiated under the rubric of ‘Insaniyat, Kashmiriyat, jamhuriyat.’ This is precisely what Vajpayee stood for. 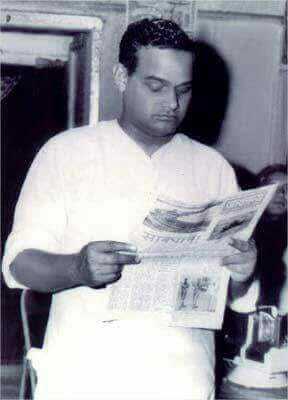 India had lost a great son; a journalist, a poet, author, orator, politician, visionary and a statesman above all. A pragmatic politician and a soft poet, his poetry reflected the great values he upheld. The country will find many politicians, but a statesman like him is rare to find. Today’s generation of politicians has a lot to learn from Vajpayee. Adieu Vajpayee. May his soul rest in peace.